Kids Activities, Food Trucks, Vendor Booths & More! Contact Julie Woody at 910-997-4464 for more info! 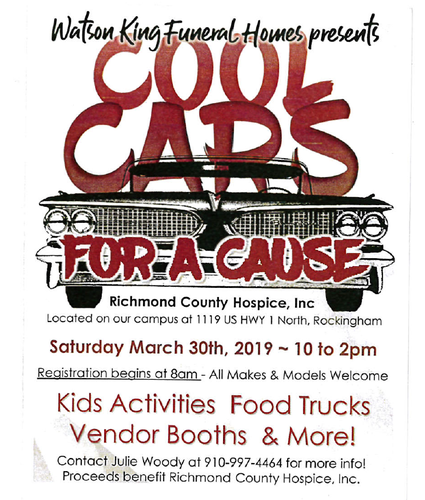 Proceeds benefit Richmond County Hospice, Inc.
Saturday March 30th, 2019 from 10 a.m. to 2 p.m.